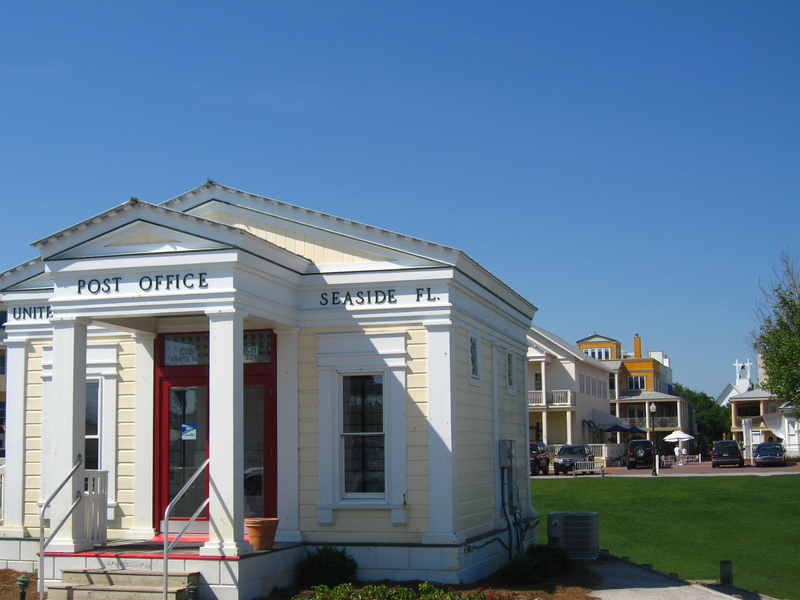 Seaside is a tiny town with a movie set feel. Indeed, it was Truman’s home in the movie, ‘The Truman Show’. Behind the small town square, we wander through an artist’s colony with posh galleries and open plan studios. The back streets here are for pedestrians only and are lined with elegant weeping willows. 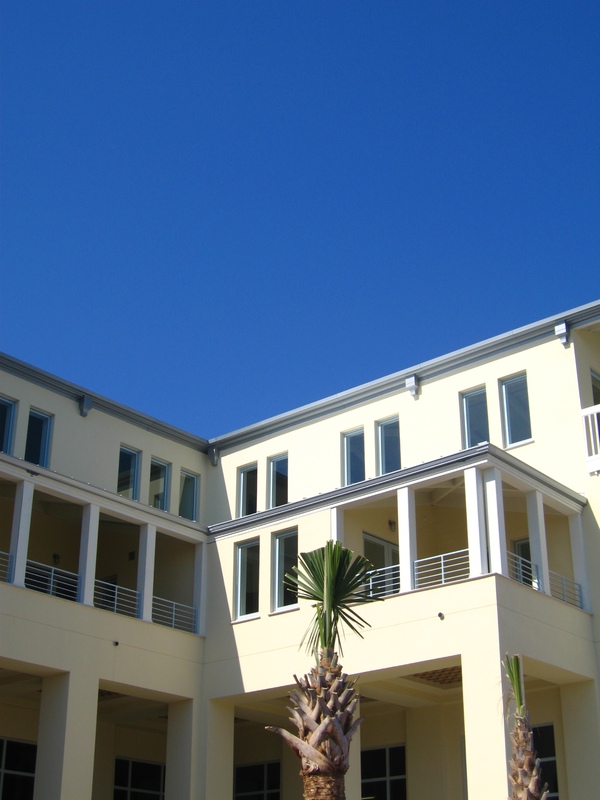 The architecture is reminiscent of Carmel, California in its planned, wealthy hipness. Large Southern plantation homes with whirring fans on the porches sit next to modern two story townhouses. Blue jays tweet and flit from branch to branch. Every window here is open, allowing the warm breeze off the Gulf of Mexico to rush across the wooden floors and kiss the safe filled with money. Down at the beach, turquoise waves lap at the white sand. The beach is dotted with modern, minimalist sand castles. 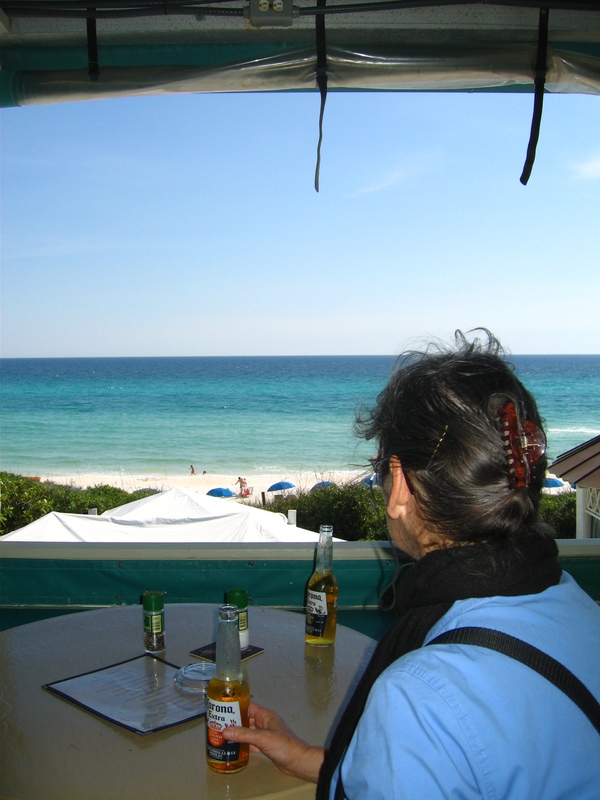 We sit down at a beachside shack with an obstructed view of the Gulf Coast. We have two Coronas, a bowl heaped with tortilla chips and no reason to move. ‘This is heaven,’ my mother says, staring out at the turquoise water. ‘The only thing it’s lacking is a good Hopper or two,’ I reply. A few miles later, we swerve off the scenic route and onto US-98. 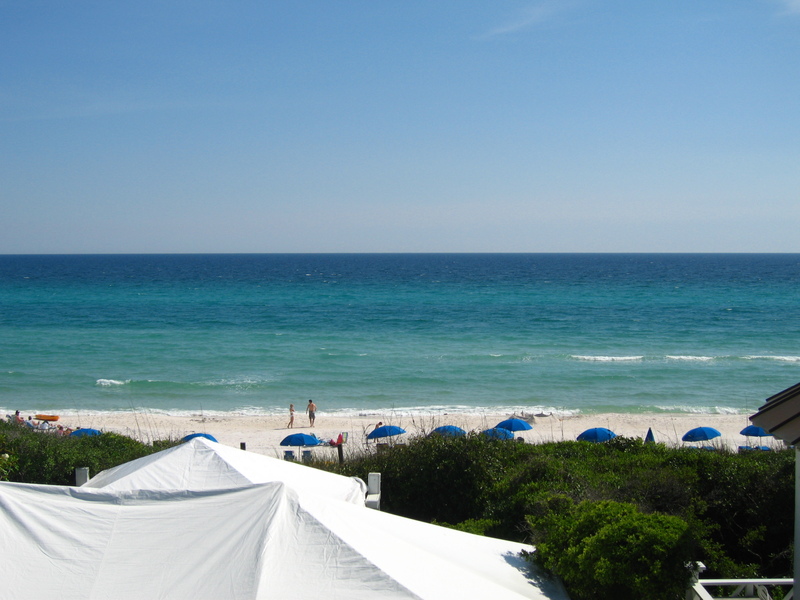 More down-to-earth communities lie ahead on the Gulf Coast. They are separated from each other by the interdigitating inlets of the Intracoastal Waterway. Long concrete arches and interminable causeways carry us over the Waterway. We pass fishing boats and sails creating dense silhouettes against the setting sun. Even relatively bustling Panama City has a certain tropical torpor. There are no chain stores, high rises or other reminders of the modern world to the north. As we dive eastward into the night, thick swampy forest hems us in on all sides. 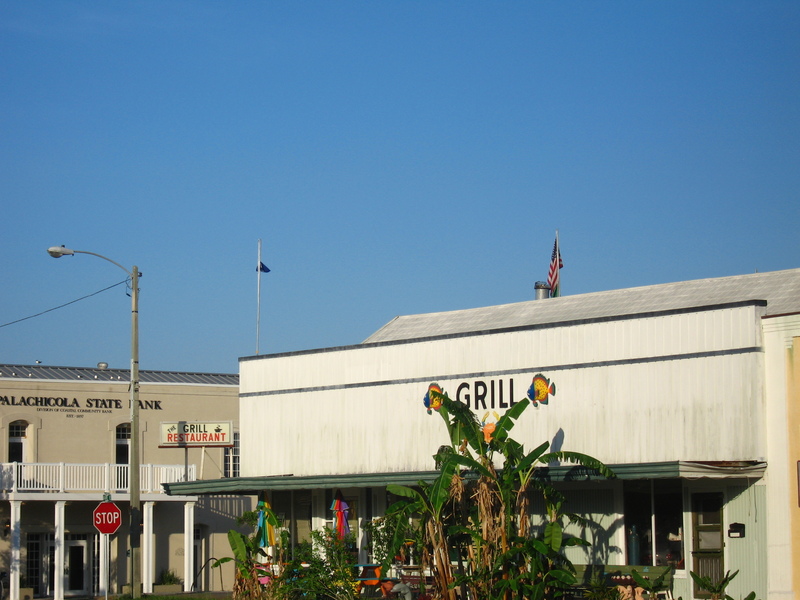 Small, largely black towns like Apalachicola host Sunday evening barbecues on the beach across from local taverns. The parking lots are full of pick-up trucks and pit smoke. Far from Orlando, Sarasota and Miami, people here live uncomplicatged lives, the warm waters of the Gulf and the hanging moss-covered pines their companions. We emerge from the Gulf Coast into Florida’s northern heart under cover of darkness. We’re bivouacking in Perry, a town with little to recommend it except its location half way between Montgomery and Melbourne. Perry is a dry town on the Sabbath. Our request for a beer at Pizza Hut, the only restaurant open in town, is met with incredulity. 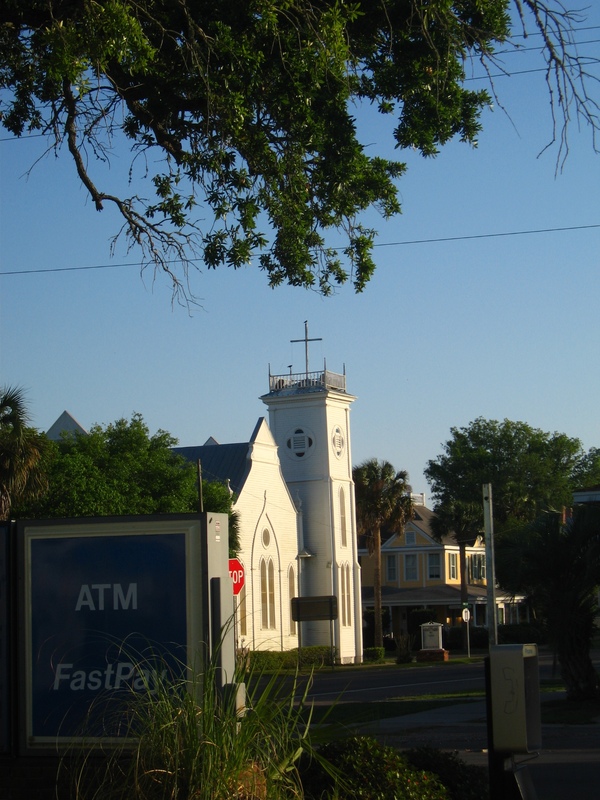 Have you driven any parts of the Gulf Coast? What’s your favorite aspect?